In the language of any nation, there are expressions whose meaning is clear without further explanation. But the origin of some of them difficult to explain without knowing the history of the people. And sometimes, in order to understand the origin of the idiom is to turn to the folklore of other peoples. Speaking about something impossible, people sometimes use the expression "when cancer at mount whistle". We all know that cancers do not hiss and do not emit sounds with a few exceptions. 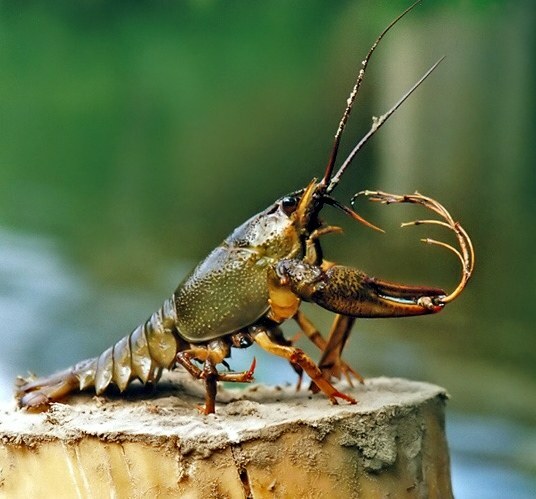 In addition, a common habitat of crayfish – water, and to be in grief, cancer will not, under any circumstances. Thus, the inability of a particular event is emphasized twice. The most common version refers to the city of Odessa in all its glory its criminal folklore. Under the cancer meant a real person – the thief-the barnstormer (marvier) Rakocinski. Nicknamed the Cancer had attached itself to him for the appropriate appearance, which in combination with the name fully justified. According to one version Rakocinski, having lost some kind of bet, had periodically to announce whistling one of the districts of Odessa - Skodova the mountain, which was a part of the bypass road. Honey was used during the rains, the rest of the time it stood empty. In all likelihood, the Cancer was supposed to whistle in those days, when over Odessa was an intense rain, which happened rarely enough, therefore, to wait for the promised Rakocinski whistle was not necessary. Of course, Odessa is a wonderful and unique city that gave the world a lot of satire, jokes about Odessites became the pearl of folklore, but in this case doubt the fact that a single case formed the basis for stable expression. Most likely, the old proverb was imposed by the circumstances, which once again demonstrates the originality of Odessa humor. Whether the cancer only needs to whistle? The above version is refuted by the fact that there is a continuation of the sayings "when pigs fly, when fish will start singing". It is obvious that the basis of the introductions went naturalistic observation. And the organization of the observations in such a paradoxical form, the so-called oxymoron, typical of folklore of various peoples. The value "never" can be considered stable expression of the Russian language – "after rain on Thursday", "to Morkovkina Shrovetide", "the rooster's egg will carry". In other languages there are also oxymorons. In English – "when pigs fly (when pigs fly), in German "Wenn Hunde mit dem Schwanz bellen" (when the dog barks tails), in Hungarian "a régi kalapot amikor jön a pap gyónás" (when my old hat will come to the priest for confession). And such expressions are in almost every nation.